So whilst I'd like to tell you that everything is always hunky dory in the Elliott kitchen, it is sometimes bloody and messy. But please don't let my clumsiness put you off this recipe for preserving sardines. I was not a sardine fan until I had some really good tinned ones a few years ago. Then I started to seek them out on menus and at the markets. Sardines are extraordinarily good for you - the fact that they're so high in Omega 3's means that the tasty little things don't last very long and they also should not be frozen. They're usually available all year round but have a peak in Australia during Winter when they are fished from Western Australia. That's why you may be seeing them a lot at markets lately. 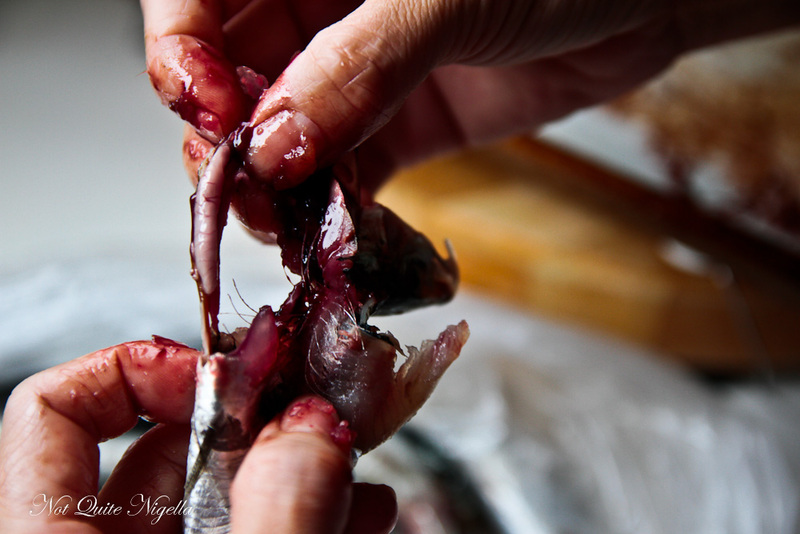 Fresh sardines are usually sold whole and filleting them in a bloody process - literally. If you're squeamish that might put you off but really it isn't anything that awful, just don't wear your favourite all white outfit). If anything it gives me an appreciation for being able to buy cleaned fish. 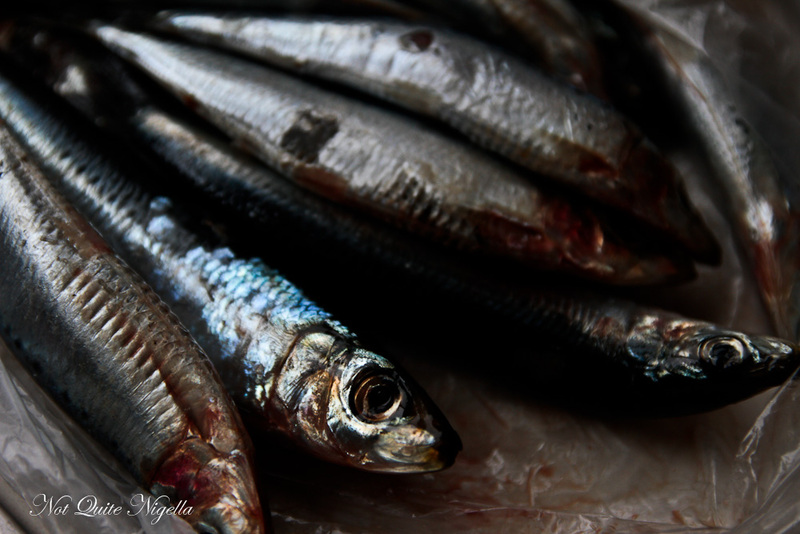 Like anchovies, sardines can lend a briney, fishy depth of flavour to a dish. For those of you that hate sardines, this recipe may not sway you in the slightest but anchovy and strong flavour lovers will adore these. 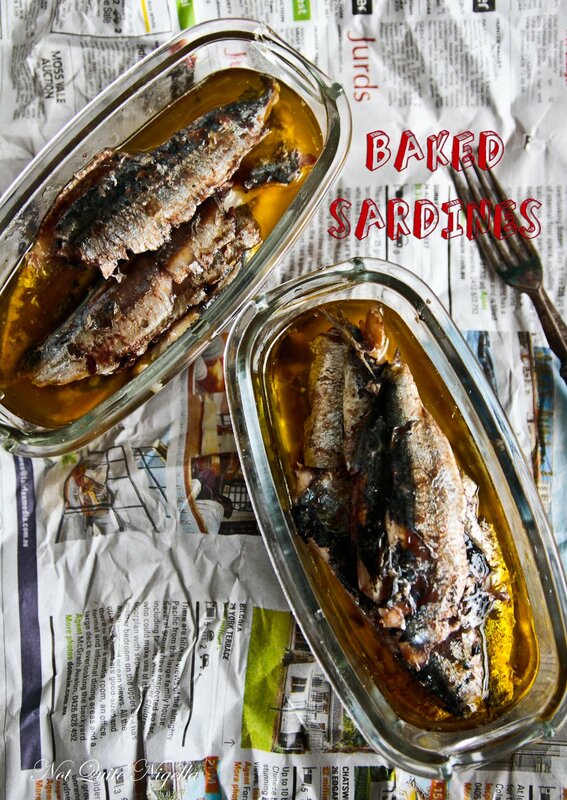 Curing, baking and then storing sardines in oil allows them to last for up to two weeks and makes a great substitute for tinned sardines that can be very expensive. I've been adding them to so many dishes and I'll share with you one of my favourite recipes with them soon! So tell me Dear Reader, are you a messy or clean cook? Step 1 - Fillet the sardines. 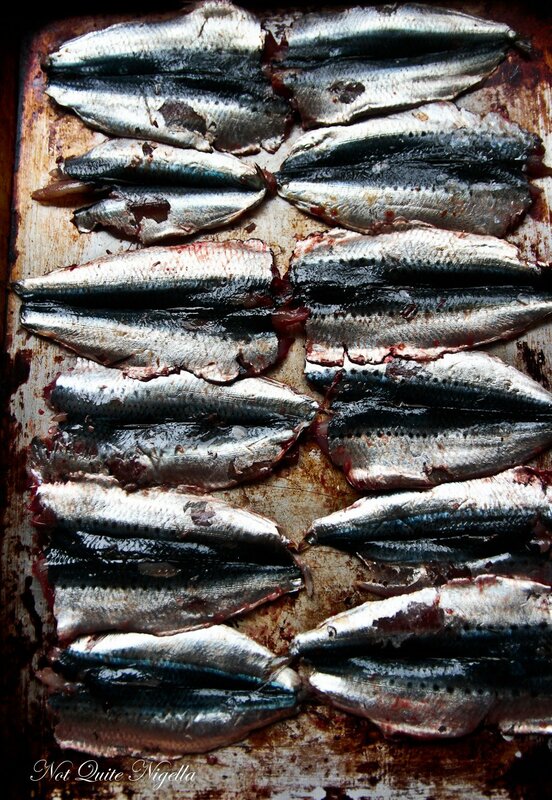 Discard any sardines with "belly burn" where the guts has exploded and come out of the sardine. 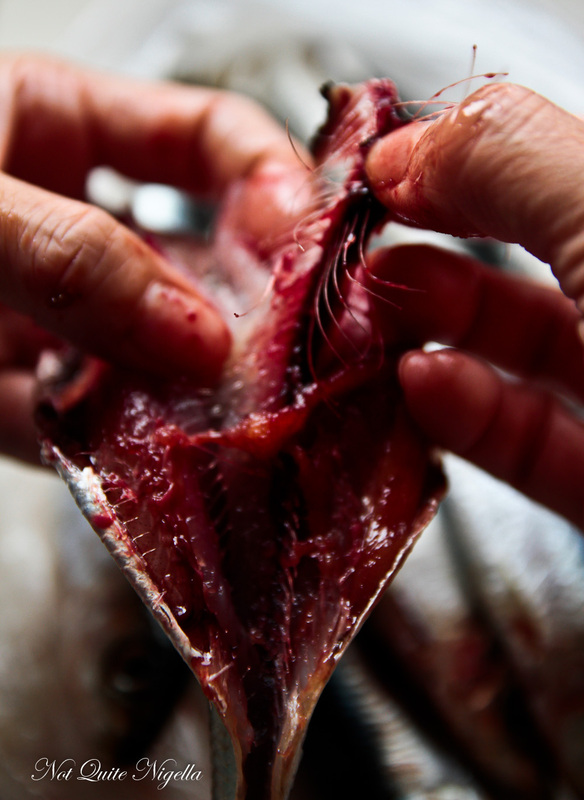 The best way to fillet a sardine is to run your finger down the belly of the sardine and remove the intestines and guts. Then remove the head and the spine. Don't worry about any little bones as they are very soft and can be eaten. Step 2 - Preheat oven to 180C/350F. Lay the sardines on a oven proof tray. 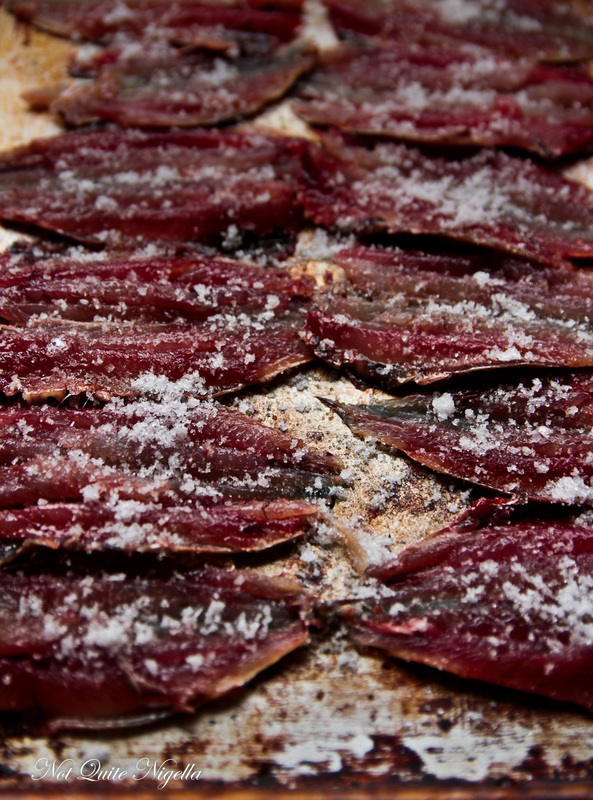 Mix the salt and sugar together and sprinkle over the sardines. Allow to rest for 15 minutes. 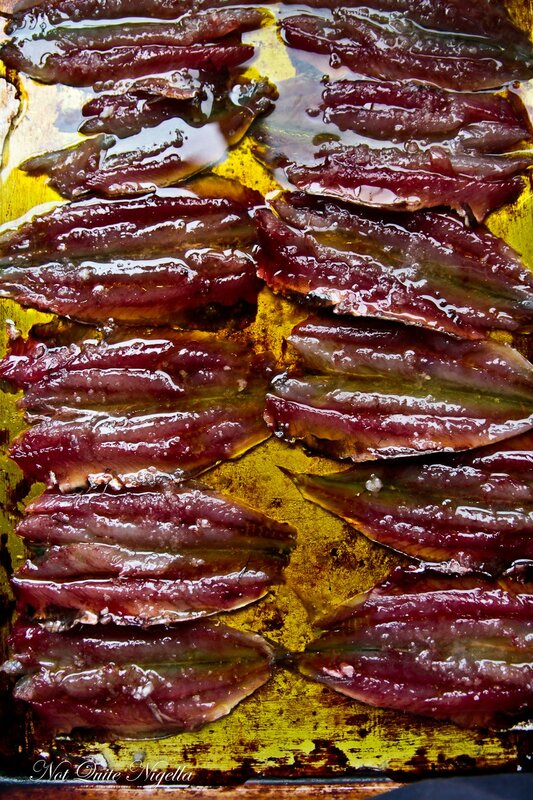 Then pour the olive oil over the sardines. Bake for 8-10 minutes until the flesh turns from pink to creamy. 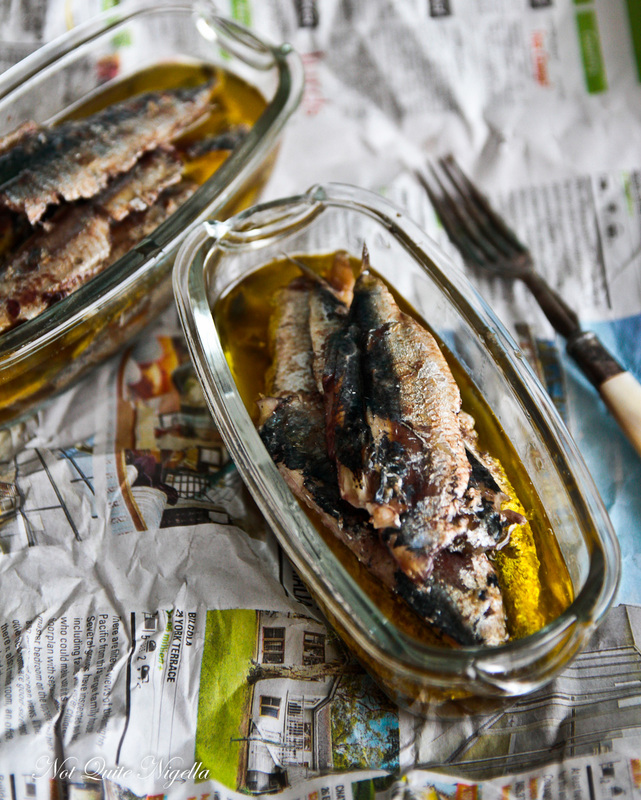 Place in sterilised jars* covered in the oil - add more oil into the container to cover the sardines if necessary. *To sterilise jars, place oven proof jars and lids in a 180C/350F oven for 10 minutes.